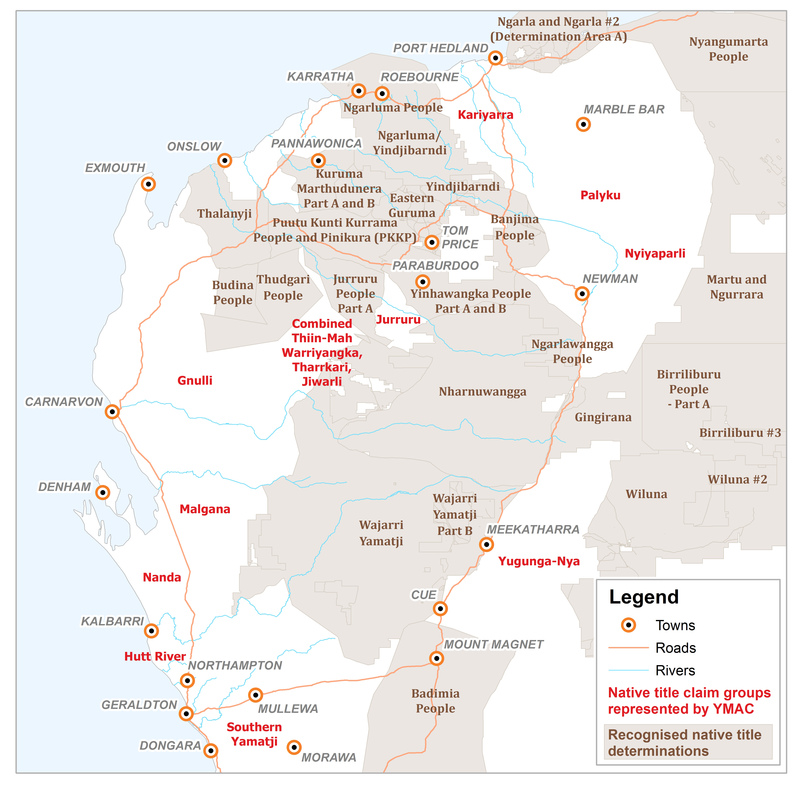 Disclaimer: This map gives a general idea of the location of native title claims. The names of each native title group above are shown in the approximate geographical centre of the claim. Boundaries of claims that are not yet determined are not represented here.